I absolutely love when something you've envisioned comes together perfectly in real life. I discovered this dreamy location while shooting photos with my favorite local boutique, June & Beyond, last week, and just had to return for my own photos. 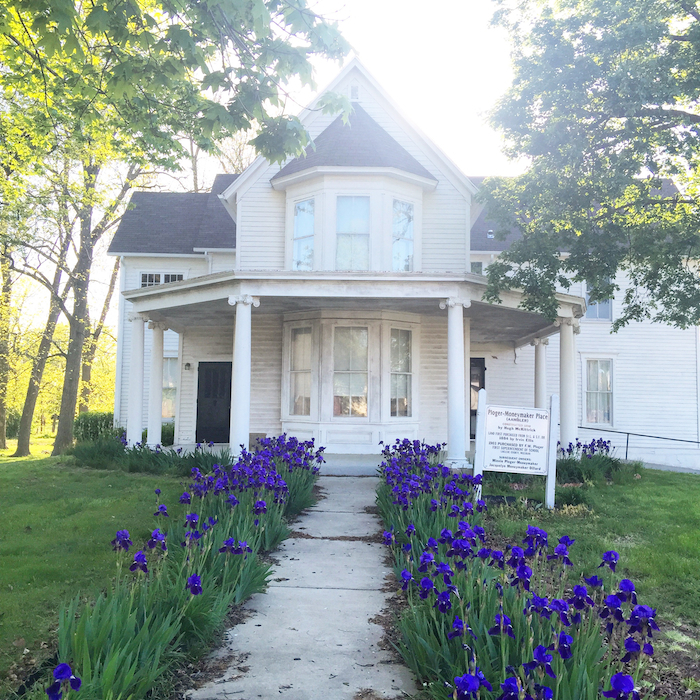 I've always found this historic home to be beautiful, but the walkway of blooming irises makes it extra charming. It ended up being the perfect location to shoot this breezy white sundress that I'm absolutely loving. It fits perfectly and is so flattering, and you truly can't beat the price. I love that it can easily be dressed up with a pair of heels for a wedding or summer date night as well. How was your weekend?? Ours was exhausting but so productive. We picked out everything for our master bath renovation (!!!) and several other home projects on Saturday, and then spent all day yesterday working outside in the yard. The best part though was wrapping up the weekend by grilling on our back deck with our new grill and new patio furniture. It was the perfect way to enjoy the gorgeous weather and reflect on all of the progress we've made on our home and yard. I can't wait to show you before and after photos someday!